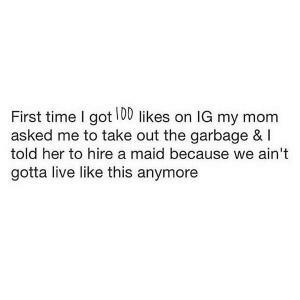 you were my cup of tea but i sip lean now. 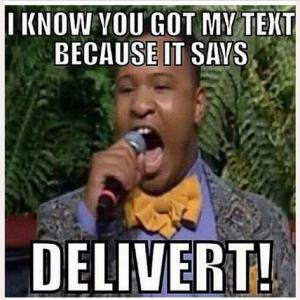 you . 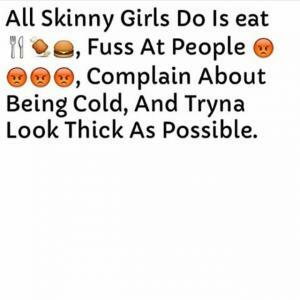 All skinny girls do is eat, fuss at people, complain about being cold, and tryna look thick as possible. 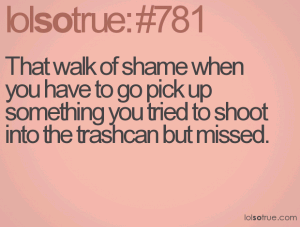 That walk of shame when you have to go pick up something you tried to shoot into the trashcan but missed. 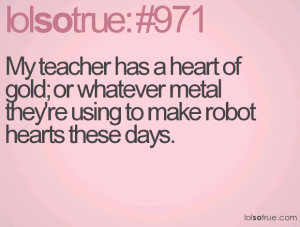 My teacher has a heart of gold; or whatever metal they're using to make robot hearts these days. 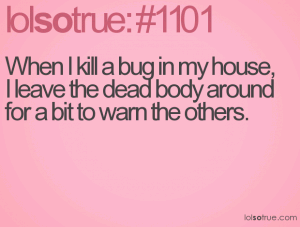 When I kill a bug in my house, I leave the dead body around for a bit to warn the others. 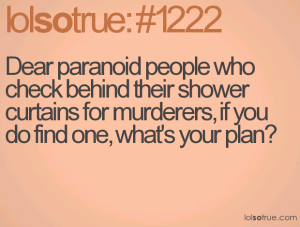 Dear paranoid people who check behind their shower curtains for murderers, if you do find one, what's your plan? 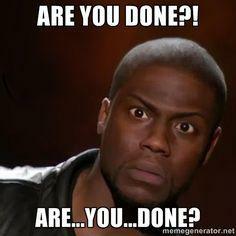 Saying 'You're welcome' really loudly when someone doesn't say 'Thank you'. 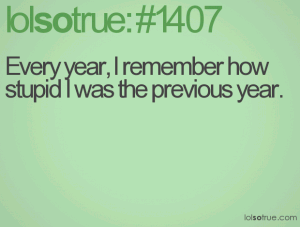 Every year, I remember how stupid I was the previous year. 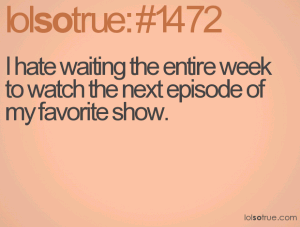 I hate waiting the entire week to watch the next episode of my favorite show.